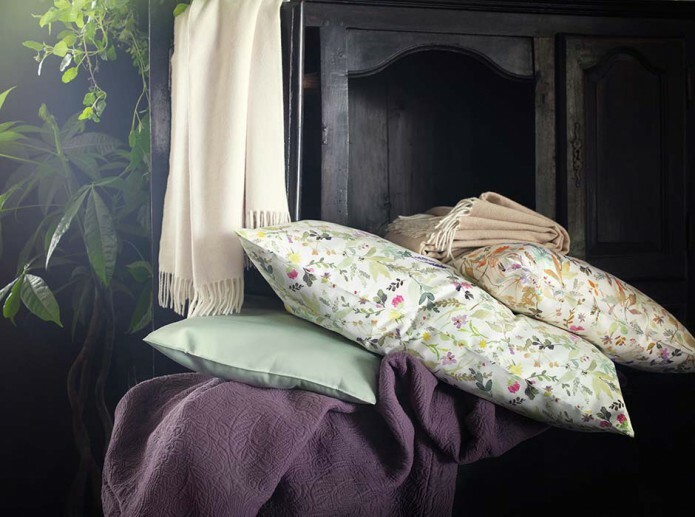 Floral, exotic motifs with mystical touches define the autumn collection from Swiss bed linen manufacturer Schlossberg Switzerland. „Jardin Secret“ is a secret world inspired by flora in five new designs evocative of the magical realm of fantasy. 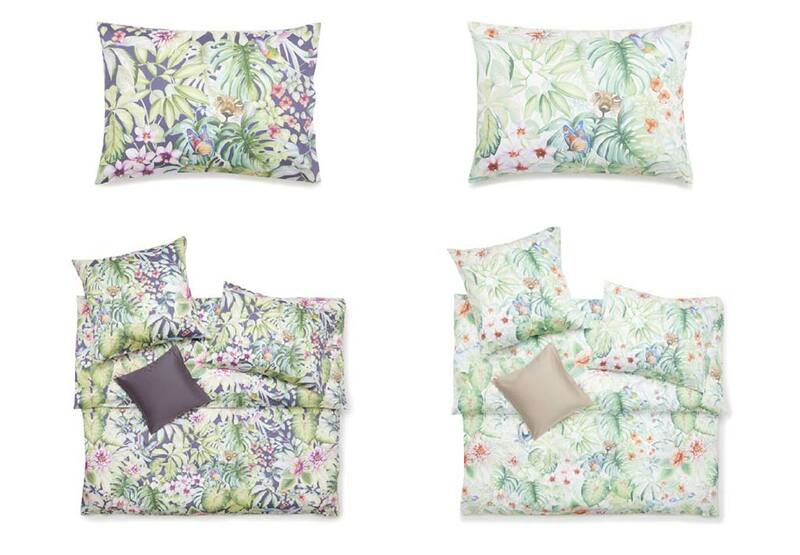 Inspired by fairytale paradises, the new Schlossberg collection of bed linen showcases luscious jungle prints and a magical garden for the senses. Enchanted prints and exceptional floral patterns with luminous colors add an extra hint of magic. 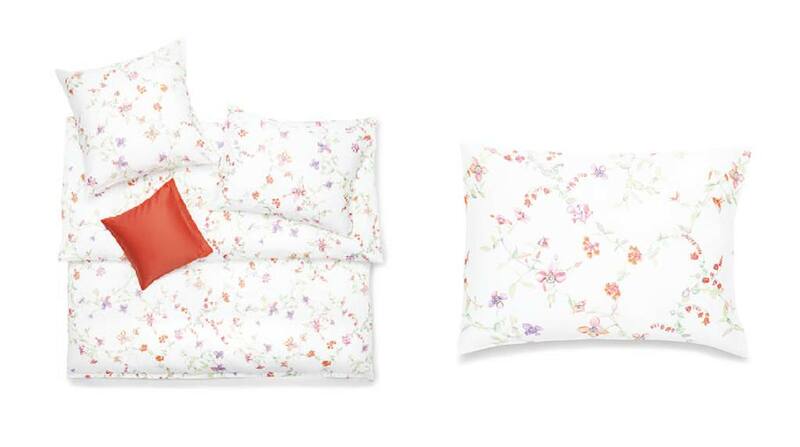 Nature in all its splendor is the inspiration behind the hand-drawn floral and plant motifs. Intricate foliage, curling tendrils, and imaginary petals suggest a magical interplay of light and shade. Crafted to the exclusive Satin Noblesse and Jersey Royal cotton finishes, the collection is deliciously evocative of nature, with warm, vivid colors and autumnal hues creating a wonderfully relaxing interior. Rationality and functionality shape our everyday life. 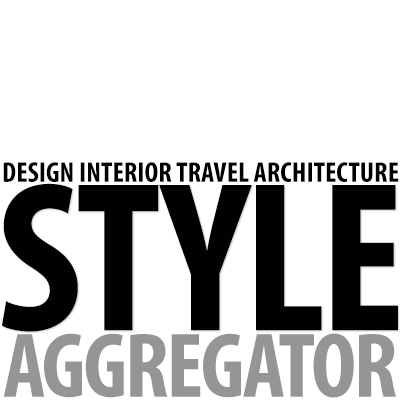 Natural materials, shapes, and colors intensify our relationship with nature and trigger emotions as a valuable counterpart to the functional. The secret magic of the new autumn collection from Schlossberg creates a backdrop rich in emotions for stylish interiors. 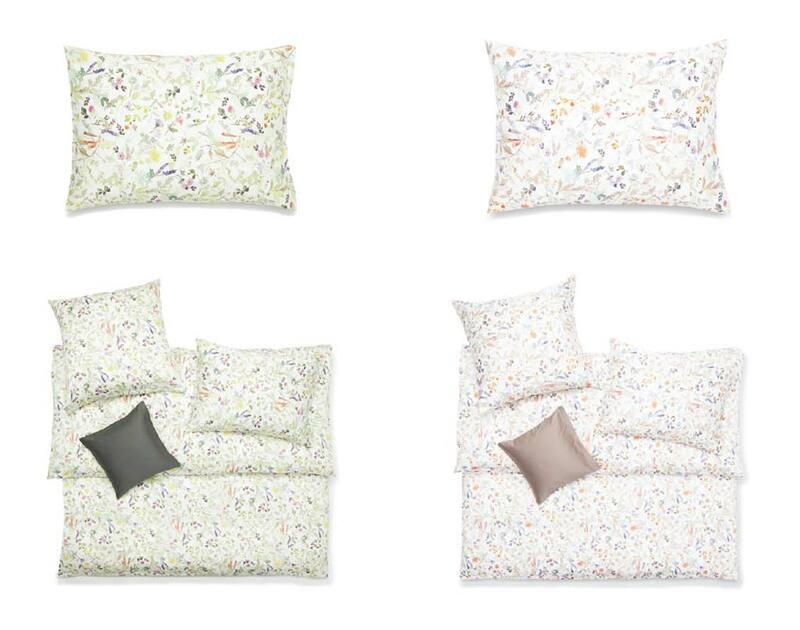 The new EDEN, PIA, CLARISSE, EVE, and AMELIE designs add to the Schlossberg elegance line five beautifully handdrawn, printed bed linen collections, ranging from imaginary flora in all its diversity to more natural floral-inspired motifs. EDEN – Paradisiacal dream worlds. This is an exotic jungle motif in bold colors that, with orchids, bromeliads, streptocarpus, and imaginary blooms, will add a mystical touch to any room. Catch a glimpse of playful butterflies, hummingbirds and jaguars among mysteriously luscious foliage of calathea, monstera, and aralia. EDEN viola is a vivid design with strong green contrasts on a dark violet background; EDEN blanc depicts a light color scheme on a white background. In Satin Noblesse and Jersey Royal finishes, EDEN is a modern take on the world of tropical flora. The EDEN jungle design is also available in a fashionable scarf made from pure silk. In CLARISSE blanc and CLARISSE bleu, graceful tendrils of clematis, trumpet creepers, and water avens are delicately scattered on a dark blue or white background. Neat arrangements of delightful petals in blue-violet, pink, and pale pink through to orange-red tones add a romantic hint of autumn, crafted to the exclusive Schlossberg finishes of Satin Noblesse and Jersey Royal. In PIA blanc and PIA beige, pastel-colored scatterings of petals in powder blue, petrol blue, violet, pink, and orange adorn the white or beige background of the Satin Noblesse fabric in a delicate all-over design. Exciting yet exquisite depictions of floral fantasies bring a fresh touch to any room and are deliciously evocative of petals falling delicately to the ground. Large, stylishly drawn imaginary blossoms full of intensity and brilliant color wind their way across a violet or white background, intertwined with ivy. 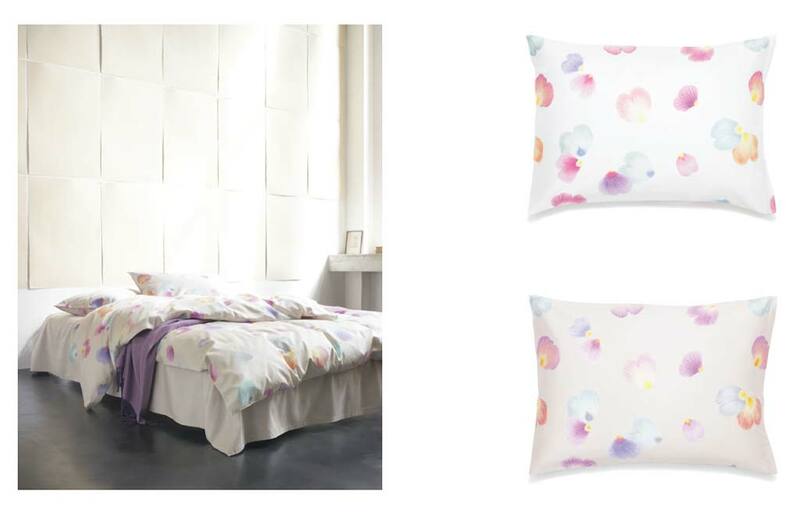 Fresh, vivid colors lend a fairytale lightness to the well-defined EVE viola und EVE blanc designs. Graceful flower patterns inspired by hibiscus, Cape daisies, and exotic fuchsia combine to produce a brilliant floral display on Satin Noblesse and Jersey Royal fabrics. AMELIE – A scent of autumn. the exotic aroma of chili plants. A naturally drawn watercolor, in its yellow and orange color options AMELIE brings to mind the autumnal glow of a herbarium with a lingering memory of warm summer nights, and its fine structure is perfectly set off by a naturally muted, subtle color scheme. Satin Noblesse or Jersey Royal fabrics are artfully decorated with bright orange, pink, yellow, and violet intermingled with brown and green tones. Schlossberg‘s history with textiles dates from 1833 with its foundation as a cotton mill. It is still going strong today at its site in Turbenthal in Switzerland‘s Töss Valley. Schlossberg stands for exclusive bed linen and towelling of the very highest quality in terms of materials, craftsmanship, and design. The features that drive the company are its willingness to embrace technological progress, its highly developed sensitivity for changes in society, and its keen sense of moving with the times. With its roots in classic craftsmanship, Schlossberg attaches particular importance to the very best quality. Working with the extra fine cotton yarn demands the utmost skill and experience, plus a considerable degree of specialized production processes. Each motif drawn by hand in Turbenthal is drawn with passion, and a great deal of particular care and attention goes into every color design for the floral textile prints.